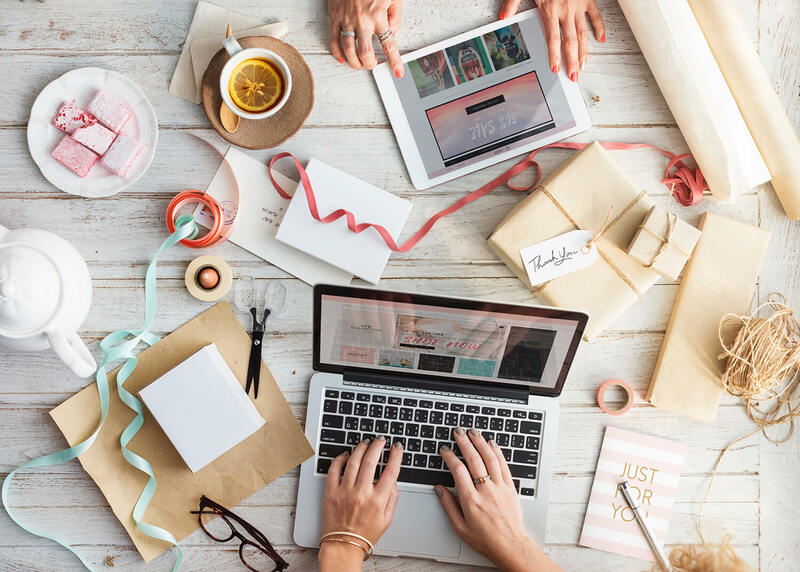 Are your social media strategies ready for 2019? Just like the apps on our devices, the world of social media is at a constant update. Trending topics are always changing, the most tweeted topic last week may be mentioned lesser in the coming week or not at all. It’s the same case with the changes in social media platforms especially on Facebook, Instagram, and Twitter. Changes that help users and marketers alike to interact and build their relationship with each other. We marketers have to think in advance, riding the trend-train to stay ahead and be the first to know the latest in social media marketing trends including the anticipated changes so we can be ready to take advantage of all the great features that the future will bring us. Users are more intrigued when they watch something that piques their interests and most of the time – their curiosities. Contents in video format have been evident on different social media platforms and will gradually dominate this 2019. The real challenge here is what you’re going to do to get your users to watch your content. People nowadays have minimal attention spans and they are bombarded with a ton of ads on a daily basis. So creating a strategy to capture the interest of your audience needs to amp up a bit. We have seen different artists release a vertical version of their music videos uploaded on Youtube which changes the game for music videos. In addition, the launch of Instagram’s TV (IGTV) feature which is a lot like a TV feature that can be used in broadcasting long-form video content has brought uniqueness to brands that utilized this feature. With so many opportunities to create videos, make sure that you’ll bring the right content to the right audience. The use of live videos was first introduced in Youtube where YouTubers can broadcast themselves and interact with fans who are leaving live comments on the video with a time stamp. After a short time, this feature has taken over Facebook and Instagram and is being utilized widely by media companies and news portals alike. Live videos give more authenticity to the audience as they’re watching real-time videos. The only downfall is that it won’t go under post-production anymore, it’s an as-is content that you’ll show to your audience so technical errors must be closely kept away. Marketers in 2019 should focus on using live videos in showing the authenticity, relevance, and their trustworthiness by providing spontaneous contents while subtly promoting their brand to the users watching. With that being said, users will always look for live videos that show engaging and exciting content which attract them with their short attention spans. People share everything on social media. From their ideas, recommendations up to their frustrations, you can find these on their social media posts. But how is this helpful for us marketers? Social listening is understanding your users on Facebook and other platforms by listening (or should we say monitoring) to their public posts to find all mentions of a brand or any other keywords relating to the brand. While social listening has been existing for a long time now, its real game in 2019 is that it will be used for lead generation and social selling. Only a few marketers realize the importance of social listening as they only perceive this as a way of customer service and reputation management. But it’s more than that, you can find people that are actually seeking for your product and services with their public posts. So include social listening to your 2019 strategies now, or if you already have, review them and make sure that you’ll meet your goal through social listening. With users filling out every opportunity for brands to know them, getting insights have been easier than before. All our activities on the internet are being monitored, and marketers are taking advantage of it to show you their offers through advertisements that match your interest or what you were doing from the past few hours. A user’s browser history, clicked links, website visits, social media posts, and other activities give brands an insight into what content they can show to them. Let’s say Netflix, for example, shows their suggested movies and series based on your taste or shows that you frequently watch. Then there’s Lazada and Shopee that show products similar to the ones that you’ve bought. Most importantly, Google and Facebook have algorithms that monitor our daily activities where they can insert ads based on posts that we recently liked or pages we recently visited. Marketers in 2019 should relate this also on social listening to increase the impact of personalization. Social media never sleeps! This is what the future holds for social media marketing. The real-time communication approach to customer supports that are 24/7 and chatbots who replies in an instant is just one of the proofs that timeliness in brands is currently rising and will continue to grow in 2019. I’m not just talking about customer service here, but also the timeliness of brands in terms of their social media contents. One remarkable example here is the day Catriona Gray won the Miss Universe 2018 pageant. Every brand was racing to the edge right after the coronation just to post in time to all social media platforms. It was a battle of wit and relevancy to what was the most trending topic that day. It all paid off though, as every user liked, commented, and shared those posts relating to Gray’s victory. This is the power of being timely and in 2019, it will be more challenging to stay relevant as brands are using different tools to be just in time as much as possible. Who said there can be no celebrities inside Facebook, Instagram, and Youtube? Well, the rise of micro-influencers will be more evident this 2019. Most of these influencers have followers who get notified with their latest posts, tweet or even when they’re doing a live video. Every marketing niche has a micro-influencer inside it and these influencers are more trusted by their followers than the actual experts. This is due to the fact that people tend to put their trust in their buying decisions to micro-influencers which they know and are deemed more down to earth. If someone has a fan base of more than 10,000 followers and are interested in what this person has to say, he is considered a micro-influencer. But the real question in place will be “Who’s going to represent my brand?”. Having a brand ambassador gives your customers perception of what your brand really is. Let’s say if you’re selling cosmetics and you get a micro-influencer who is a mother of three and in her mid-30s, your customer will automatically realize that your product is dedicated to women in the older age bracket, especially to mothers. In return, a lot of users who are also women in their 30s, single or married, will see that your product was made for them. At this point, I can say that I’m ready to face 2019 head-on. I’m also looking forward to these predictions to happen and see their full effects. Every year is a constant struggle for us marketers because of the new things we need to be familiar with and making sure our strategies last year would be as effective for the next one. But I’m also excited to the new tools and techniques that can put the brands we are taking care here in EmergeLocal in the front of the screen of their target market. If you’re looking for more in-depth strategies for your social media management and digital marketing solutions, talk to us at EmergeLocal and set an appointment for a free consultation.